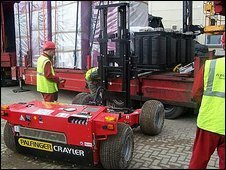 A plan to guarantee up to £20bn of loans to small and medium-sized firms to help them survive the downturn has been unveiled by the government. In return for a fee, the state will, in effect, insure banks against companies defaulting on loan repayments. But there are concerns that £20bn will not be enough to get the banks lending sufficient funds to help businesses get access to much needed cash. The Conservatives want ministers to go further and underwrite £50bn of loans. 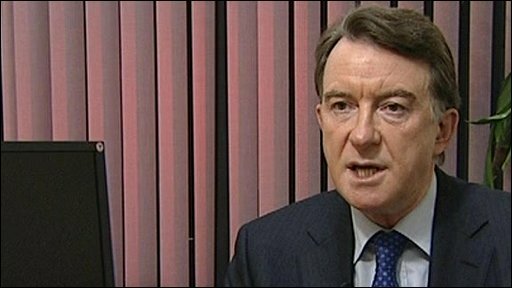 Business Secretary Lord Mandelson said the proposals would target "genuine business needs". Speaking at prime minister's questions, Gordon Brown described the measures as "real help now to deal with specific problems". Alan Duncan, shadow secretary of state for business, responded by dismissing the measures as: "Too little, too late, too complicated... a small bandage on a massive wound." Central to the plan is a £10bn Working Capital Scheme designed to help banks lend much needed capital to small and medium-sized businesses. The government will provide guarantees on 50% of £20bn short term loans to businesses with a turnover of up to £500m. "The £10bn injection to banks represents a guarantee to enable them to free up working capital to sustain exisiting loans and create new ones," Lord Mandelson said. "A condition of [banks] getting the money will be that they negotiate with the government on what capital will be freed up," he added. He said that some of the capital made available as a result of the guarantee had to be used for new lending. Bank lending would be targeted at "innovative, viable and growing [companies] that are finding it difficult to access working capital", he added. He also conceded that there would inevitably be some defaulting on loans, and that £225m had been put aside to cover repayments that could not be made. The government is also setting up an Enterprise Guarantee Scheme as part of the support package. This will secure up to £1.3bn in additional bank loans to companies with a turnover of up to £25m. So why aren't banks lending? This money will go to "smaller, viable, credit worthy firms hit by the downturn," said Lord Mandelson. These companies will be able to borrow a maximum of £1m, with 75% guaranteed by the government. The money can be used for working capital - to pay wages for example - or for new investment, he said. The banks must certify that these loans are in addition to loans that they would otherwise make. Finally, the government is setting up a £75m Capital for Enterprise Fund specifically for businesses with high levels of debt that have "exhausted traditional forms of financing", said Lord Mandelson. Fifty million pounds will be provided by the government and £25m by the major banks. Lord Mandelson also said that the government was in discussions with credit insurance providers about providing similar guarantees on money owed by small businesses to their suppliers. "Businesses are critically in need of cash-flow. Any move to get banks lending again will be seen as good news at this bleak time," said the British Chamber of Commerce's director-general David Frost. "A government promise to guarantee individual loans to businesses is not only sensible, it's crucial." However, some commentators believe that larger guarantees will be needed. We have agreed credit again but it was hard fought - we fought tooth and nail to get it. It is very difficult. "Twenty billion pounds is not a very large number in the context of the problem. I would be a lot happier if the scheme was a lot larger," said Jon Moulton, managing partner of private equity firm Alchemy Partners. Martin Weale at the Institute of Economic and Social Research said: "It's been clear for months that something like this is needed. I'm not sure it is on an adequate scale. "My guess is that it won't be enough. After a few months it will look like another of the government's half measures." "This is a useful contribution but it won't fix the problem," said BBC business editor Robert Peston. Shadow chancellor George Osborne said the government appeared to be offering a belated version of the £50bn scheme floated by the Tories several weeks ago. "Let us hope that they will properly implement this Conservative policy rather than a pale imitation, or else they run the risk of repeating the mistakes of their expensive temporary VAT cut and achieving nothing," he said. And where is the government going to get the money from to guarantee these loans? Oh yes, that'll be the taxpayer shelling out again. Liberal Democrat Treasury spokesman Vince Cable said: "The government should stop messing around with stunts and wheezes and ensure that the banks owned or part-owned by taxpayers operate as state banks maintaining lending for the economy." The British Bankers Association, which represents the banks, said its latest data showed that in October and November, growth in lending to small businesses slowed towards the end of 2008, though it remained above 2007 levels. Business leaders have said that the lack of available finance has played a part in the downturn of the UK economy, which the British Chambers of Commerce (BCC) described as a "frightening deterioration" towards the end of 2008. Separate data from Equifax found that the number of business failures in 2008 was 18.2% higher than in 2007. In another development, the chairman of Standard Chartered Bank, Mervyn Davies, has been made a life peer and trade minister. The BBC's Nick Robinson says he will, in effect, replace the ex-head of the Confederation of British Industry, Digby Jones, who left in the last cabinet reshuffle.